Practical and stylish: Find a bookshelf to add storage and interest to every space in your home! The humble bookshelf will add a blast of style and a storage bonanza to every room in your home. Take a look at your spaces and see where you could benefit from the style and practicality! 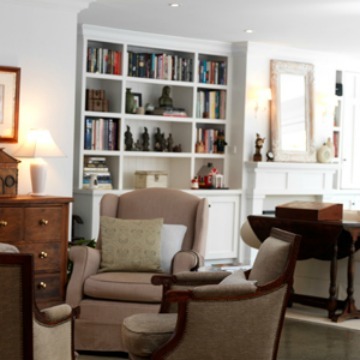 Keep coordinated with the style of your furniture, whether it’s clean contemporary or shabby chic. Industrial shelves suspended by metal cables bring an edgy look to modern decors, and simple floating shelves in cherry or mahogany fit seamlessly with more traditional rooms. Shelves can be hung lower and more accessibly in family rooms, so kids can corral their clutter in baskets placed within reach. Make use of the verticle space in a room with high ceilings or in a loft. Let shelves climb the wall to draw the eye up in appreciation of the volume of the room. Style your shelves with a few favourite items and photos as well as books. 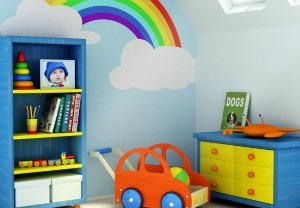 Paint a bolder colour wall behind the shelves to accent them and the objects they display. Try a woven paint technique, fabric or wallpaper as the backdrop, and the shelves become art in the room. Open shelves are a great look added to a kitchen. 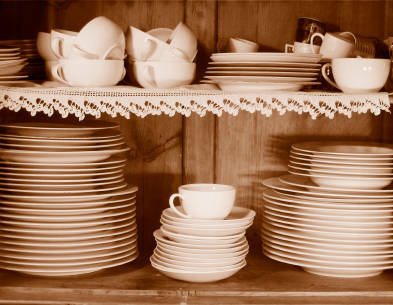 Cookbooks, collectible teapots or pretty pottery mugs that you use daily should be handy, so why not display them on open shelving that complements the cabinets and puts much-used and much-loved items at your fingertips? Innovative kitchen designers are incorporating shelves into kitchen islands for extra storage. You might even add a door and paint it with chalkboard paint to create a family message center. Shelves are a boost to any bathroom. 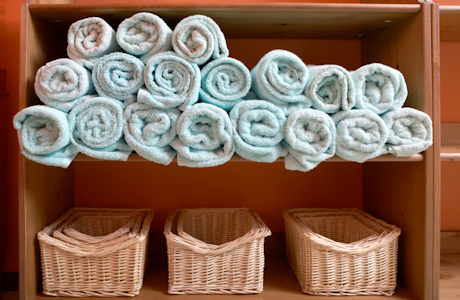 Stack them with fluffy towels and toiletry items. Chrome hotel-style shelves are heavy-duty strong, and add some sparkle… They last forever even in this humid space. The same shelf works well in a laundry room, or goes with a sleek and functional shelf that you can line with buckets and baskets to hide small items and cleaning and laundry supplies. There’s no rule that says everyday items can’t be displayed in a pretty way — and within easy reach! Kids and adults need shelves in their personal spaces to expand storage. Make sure children’s shelves are reachable for their height and sturdy enough to support some weight. Load them with baskets and bins to hold smaller items to keep the floor clear. Primary colours work well for the younger set. Older boys will prefer darker or more neutral colours and tween to teen girls will style something with more feminine lines — for them lacy wrought-iron is a great shelving option. Kids with a big collection of any type will appreciate a line of shelves circling the room at window-top level. Their precious collectibles can be on display there, prominent yet safely out of the way.